The Scientific management team defines, coordinates and implements the Institute’s scientific strategy, acting as an interface between the industrial and service sectors and stakeholders in higher education and research. It assists the programme directors with project implementation while promoting the scientific excellence of the projects. 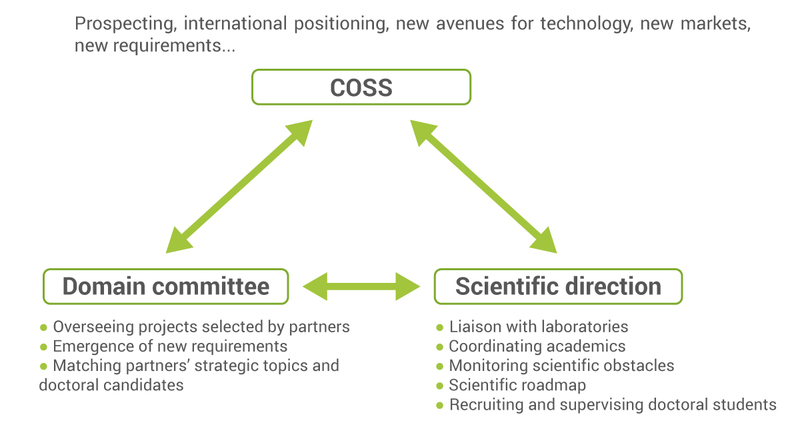 It also coordinates scientific activities and updates the scientific plan in liaison with the research field committees and the Strategic and Scientific Guidance Committee (COSS).